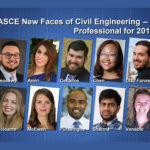 Annually since 2003, the ASCE New Faces of Civil Engineering – Professional program has selected a group of civil engineers under 30 already accomplishing great things. These civil engineers don’t excel in merely one aspect of their job or one area of life. They are the best and brightest in virtually everything they do. 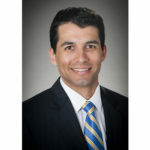 A look at the New Faces of past years reveals what comes across like an exclusive “Who’s Who” of ASCE and civil engineering. For instance, when ASCE’s IMAX film Dream Big: Engineering Our World premieres Feb. 17, audiences will be cheering the stories and achievements of two New Faces alumni – Avery Bang (class of 2011) and Menzer Pehlivan (class of 2016). Other past New Faces are in leadership positions across ASCE and the civil engineering profession. What can we expect from this year’s group? Check back in a couple of years on that. In the meantime, get to know each and see what they’ve already achieved that points to promising futures in the profession. 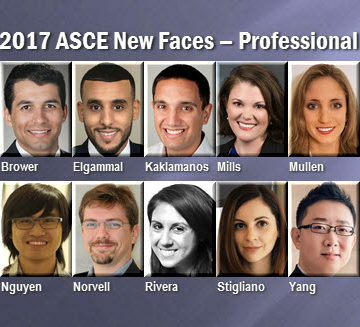 Read about ASCE’s recently revealed 2017 New Faces of Civil Engineering – College.